You know how much I swear by my Shu Uemura Eyelash Curler, it never pinched my weirdly shaped eye lid, it grabs all my lashes in one go and curls like crazy. It stayed with me for two good years! But everything has to come to an end, Shu Uemura doesn't sell pads separately so I had to throw the curler away. I've been hearing great things about its greatest rival, the Shiseido Eyelash Curler so I quickly bought this one on my way home. Newsflash, I forgot that we have 2 lines of Shiseido here in Japan, the high-end and the drugstore ones. 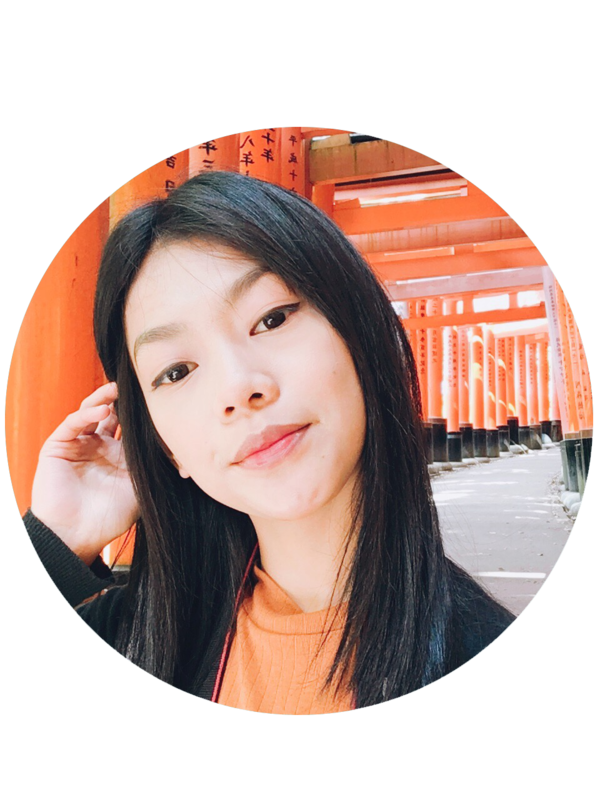 In Manila, Shiseido is a well known Japanese company that sells high-end beauty products, but in Japan you will be surprised that a lot of affordable products sold in drugstores are from Shiseido. I just realized I picked up the 'drugstore' curler when I got home. I've never seen any of the two so I honestly thought I picked up the right thing. *I did a further research about these two cosmetics lines so I'm gonna share them down below so you won't make the same mistake like I did. I'm not complaining, though. Even at its drugstore lines, Shiseido still stands up to their quality. I love that Shiseido Eyelash Curler #213 is sturdy to the touch, the overall design doesn't strike me as a cheap eyelash curler either. Packaging-wise, unlike its Shu Uemura competition Shiseido Eyelash Curler #213 doesn't come in a classy box. 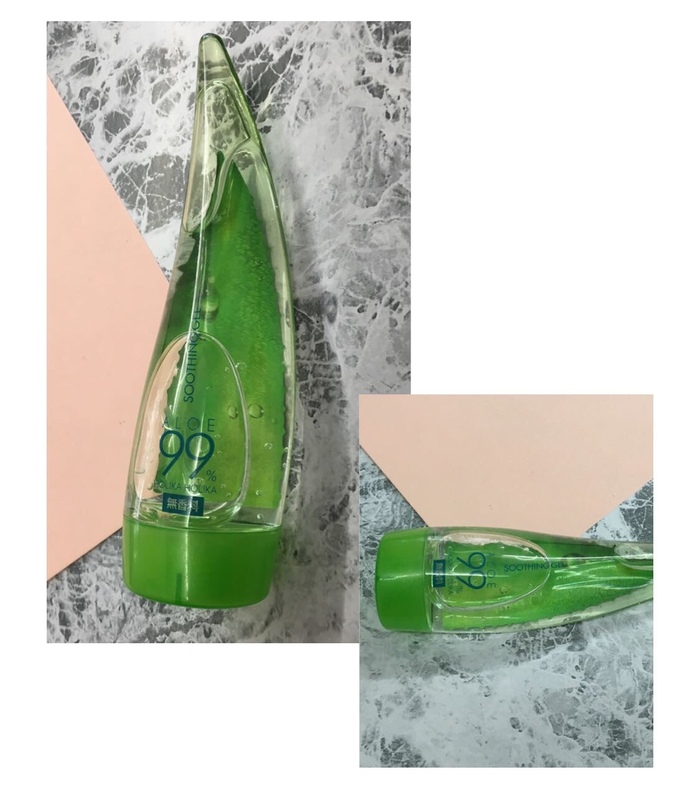 It is housed in a flimsy, transparent front, plastic packaging. Included inside is one extra pad. Not bad for ¥800 (+tax). "you are beautiful #213, don't let anyone tell you otherwise." 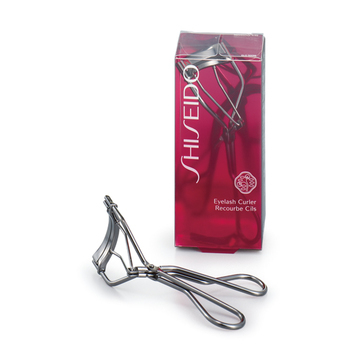 What I like about Shiseido Eyelash Curler #213? How to spot the drugstore vs high-end Shiseido Eyelash Curler? 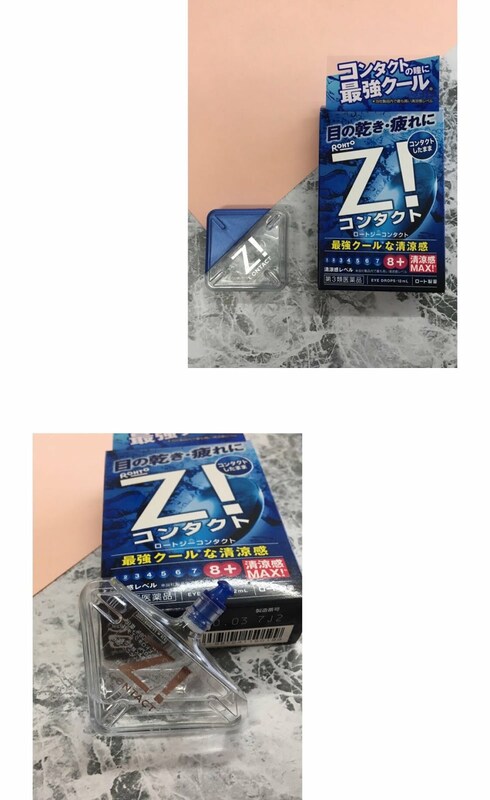 The high-end Shiseido Eyelash Curler is housed in this packaging. It costs ¥1.080 (which also hundreds cheaper than Shu Uemura's). One thing about these two Shiseido lines is that the logo of the high-end one is always with 'GINZA TOKYO' right below the word Shiseido while the drugstore one is usually just either the word Shiseido or is written in Japanese characters. 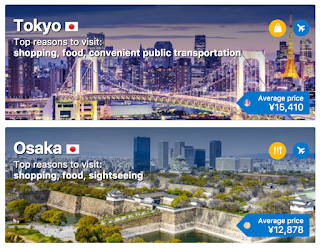 The 'Shiseido GINZA TOKYO' is marketed worldwide so including the words GINZA TOKYO in the branding also makes sense. Hello guys! I’m back with another ‘Current Favorites’. 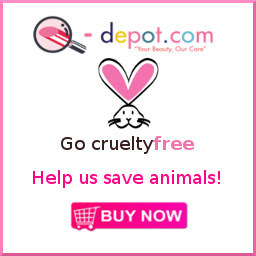 I noticed that my to-review products are piling up so I thought, why not review them in one go? Our honorable mentions for today’s batch review will cover from hair product, face scrub, eyes, to sunscreen. They will also come from different brands: Japanese, Korean and a Western one. Isn’t that nice? I’ve been wearing specs for more than a decade of my life and I’ve pretty much used to the eyeglasses life. I totally have no problemo when it comes to wearing eyeglasses except I look even more grumpy with it. And let’s face it, first impression really does last and that’s when contact lenses came to my rescue. The catch, though, is I find my eyes getting tired and dry too easily. So I’ve been hoarding eye drops since then. A newcomer to my list is the ROHTO Z! Contact eye drops, just like the ROHTO Lycee Contact it promises to relieve eye fatigue, dryness, and blurry vision due to contact lens wear with added super cooling sensation. 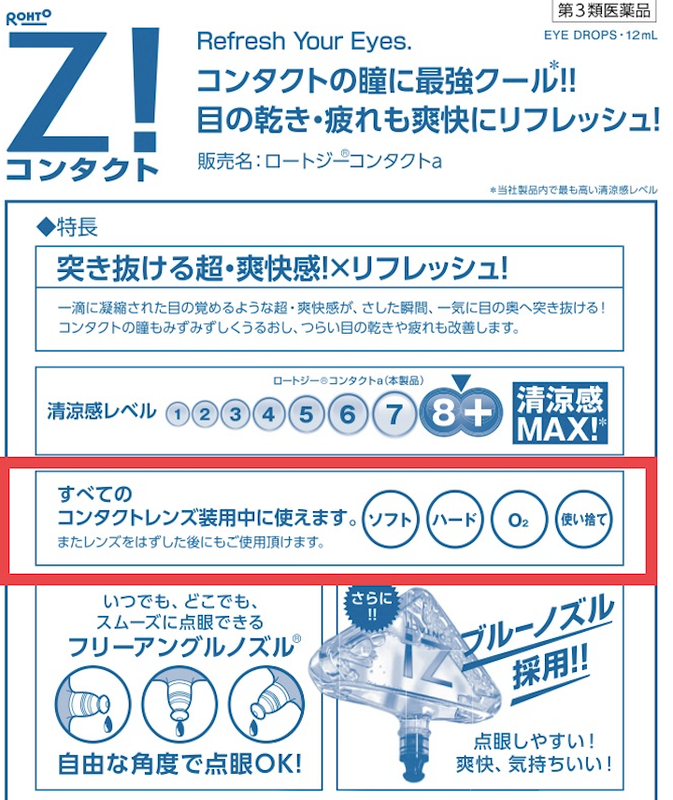 Actually, it’s the ‘strongest’ in ROHTO eye drops when it comes to cooling effect. It was too strong for me at first try, it stung, I had to close my eyes for a couple of secs. I eventually got the hang of it and been reaching for it since then. I like that the moisturizing effect is almost as immediate as the minty cool sensation goes away. If you haven’t heard of this brand from Japan or this mascara particularly, guuuuurl, you’re missing a lot on your eye makeup game! (Kidding) Seriously, it’s the best long-wearing, smudge-proof, volumizing mascara I have ever tried. It doesn’t clump even if you layer coats—using mascaras has never been this easy! Believe me! On top of that it can hold those curls for a long time (I’ve tried mascara that just can’t hold the curl, lashes droop down making a shadow which in turn makes my eye bags even darker), and when I say for a long time I mean that even a regular facial wash can’t make them budge! Well, that sounds a disaster for some people but if you want something that will stay with you under the heat, under the sea, and even after hours of crying and whatnot then Heroine Make Mascara is right up your alley. I’m all about volume when it comes to lashes. I want it to look like I’m wearing faux eyelashes or extensions while also confusing people with “it doesn’t look like extension nor glued fake lashes to me, don’t tell me that’s her natural lashes?” factor. And nope, Heroine Make Mascara is the answer to that. Amen. A good friend of mine swears by aloe vera. To be honest, this is the first time I’m including aloe vera in my skincare. My hair usually gets frizzier and drier during summer so I was at the local drugstore looking for something to try out when I chanced upon Holika Holika Aloe 99% Soothing Gel. In my area, it’s pretty challenging to get my hands on the latest in Korean beauty products (unless the product is highly coveted) so when I saw this I just knew I should get it! What made me easily sold is the fact that I can use Holika Holika Aloe 99% Soothing Gel not only on my hair but also on my face and body. My hair absorbs it quick and it’s not sticky either, plus it’s super affordable. I’ve been using this cleanser slash facial scrub from Lush for the longest time. 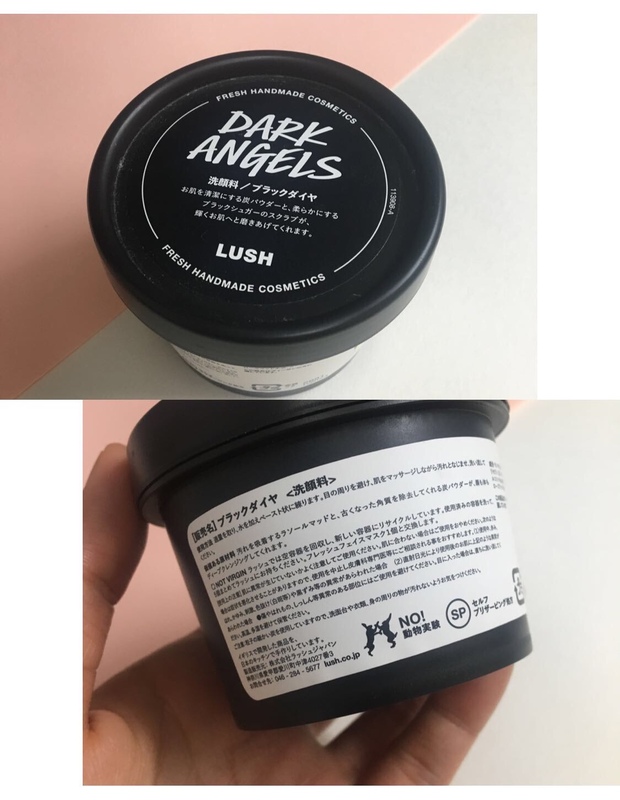 And while I’m still undecided whether I must get another tub, what I love about LUSH Dark Angels is that it boasts most of the ingredients any oily or acne-prone skin would love. Dark Angels is the combination of black sugar and charcoal which exfoliates skin and leaves it feeling fresh while the avocado oil in it keeps the skin nourished and hydrated. The catch? It’s messy. It could stain your bathroom sink, leave some black streaks on your face which disappears after another round of your regular facial wash or toner. I mean: this scrub works but it creates a lot of work to do too. Another cool discovery from ROHTO is the SUNPLAY Super Cool. I got it on sale so the packaging might look a bit different from how it looks now if you search for it online. What I like about this sunscreen is that it does not leave you with a sticky feeling. 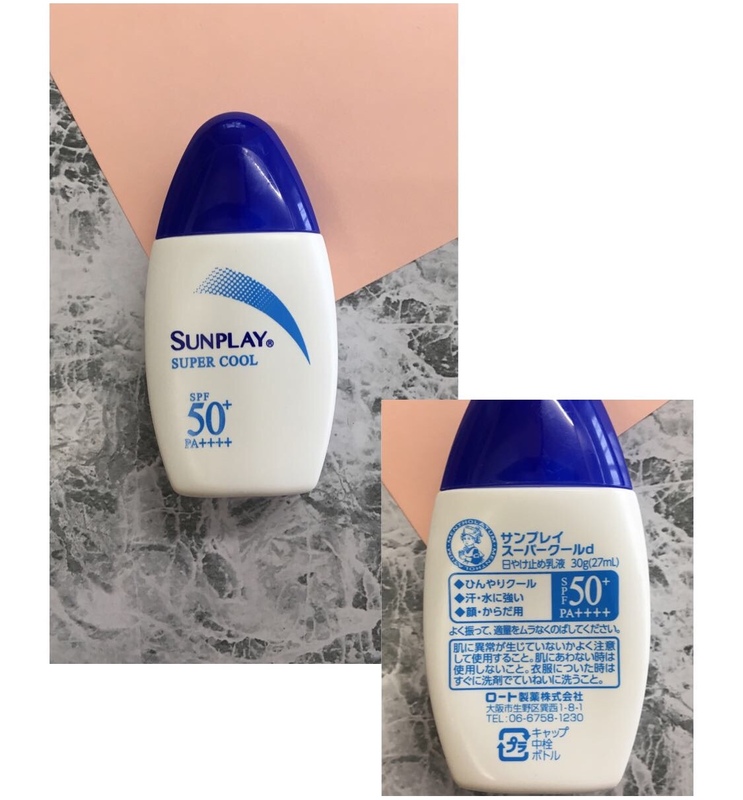 And just like my favorite Sunkiller Cool Perfect Strong (from the makers of Heroine Make) it also has that cool minty effect on your skin perfect for people on the move and intense humid weather. It promises to be ‘Super’ waterproof and sweat resistant. And I believe the claims are true because I can still feel layers of products on my arms when showering at night. It stayed that long without transferring to my clothes nor the sticky feeling. SUNPLAY Super Cool sunscreen is also infused with Hyaluronic Acid so it’s like a moisturizer and a sunblock in one bottle. Nifty! And that’s it for my current faves! I think this reviewing-in-a-batch style will be a permanent one here in the blog from now on. I feel so bad that I live in a country with so many interesting products to try and a room full of products sitting, waiting to be reviewed. So yes, looking forward to more batch reviews!